MuddyBoots’ most recent residency is underway in Outokumpu, Finland. Thanks to the willingness and enthusiasm of Ulla Mäkinen, director of dance at the North Karelia College and MACoDE Alumni, we are enjoying three weeks of beautiful studio space inside a renovated old copper mine, peaceful accommodations, blue berries, pristine lake swimming and the chance to dance and research together with our friend and collaborator, Nastia Ivanova. 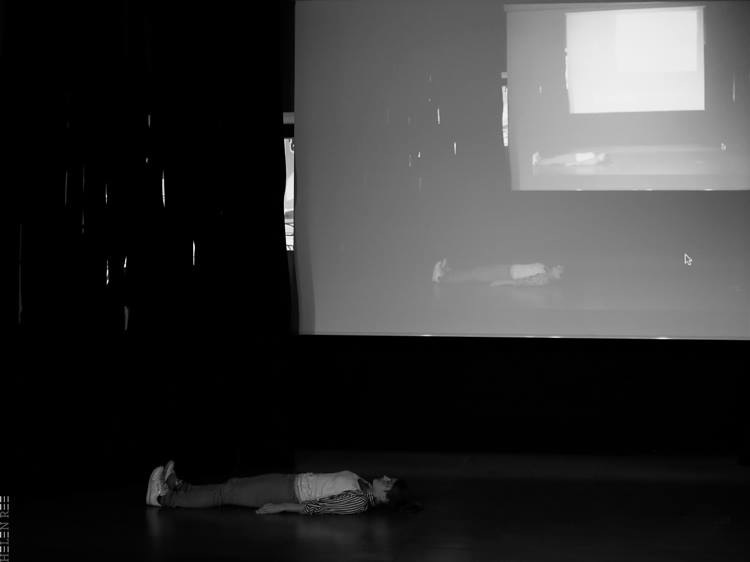 The project “doing things” has been made possible by a post-graduate grant which we received from the Hessian Theater Academy for a proposal we drew up to explore how we can transform and translate a digital video trailer of excerpts of our work into a live dance performance. In exchange for the rehearsal space and hospitality, Ekaterine and I will teach workshops for the second and third year students of the dance department for their first week when they return for the new semester. For the past 4 days, a dancer and I have been running around the inside of our minds in a salsa studio rented by the Tanzhaus in the industrial part of Zurich. Organizing spaces, compartmentalizing our dreams, intentions, fears and happiness. Trying to decide where they should go and simultaneously acknowledging the futility of our actions. We practice responding to number shouting from speakers as though they are the compulsory obligations of our everyday lives. Finding rituals in the mundane and searching for a beat or a pulse in a muddle of sounds and static. I’m in Zurich as part of a larger choreographic experiment conceived by the Swiss dancer and choreographer, Natalie Wagner. She has invited 6 choreographers including myself to work with her individually over the course of the next year. Each choreographer will work for only 5 days to create a solo on Natalie. Her interest is in observing the similarities and differences between the solos. To inspect the choreographer’s style and individuality and her own influence on the work as the material being designed. 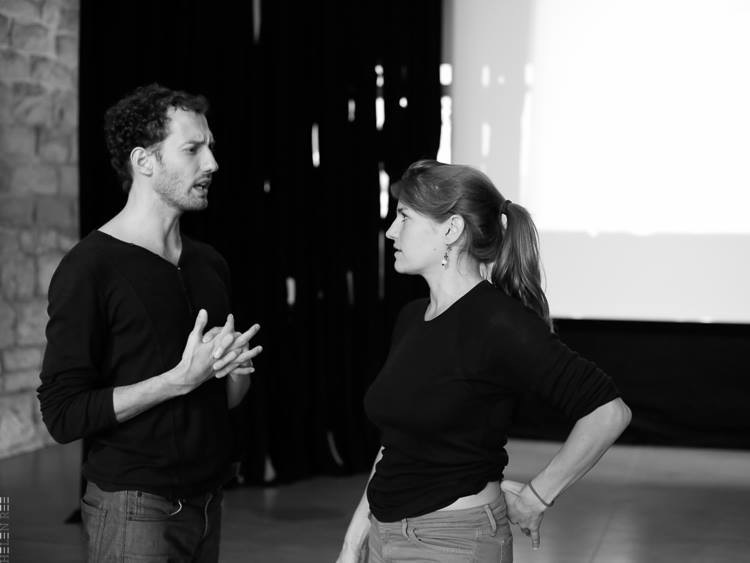 A studio showing for the artistic staff at the Tanzhaus will take place tomorrow at 4pm. A presentation of the results from the entire project is scheduled for February 2014. A week ago Saturday the 15th of June we woke up early and made our way, sleepy yet with conviction, to the Frankfurt Main Station. With coffee in hand, pulling a beat-up suitcase containing a small, wooden treasure chest, hauling rucksacks filled with costumes, boots, high-heels, hats, a laptop and our toothbrushes, Andy, Ekaterine and I met our friend, lighting designer and technical savior, Camilla, on the platform before boarding a train to the familiar town of Giessen. Company MuddyBoots, was more or less, officially on tour. We had received this fortuitous invitation to perform the piece 3:1, which we created in March, from Alexander Wang, a young artist responsible for programming the 25th Hessische Theatertage at the Stadttheater in Giessen. With what has become a normal, or anticipated amount of time pressure, or no time to prepare situation, Ekaterine and I began to refresh ourselves in the choreography two weeks previously. We found a decent and inexpensive rehearsal space called Z Zentrum to rehearse. We immediately began a mini-process of continuing to develop, shift, and change certain aspects of the piece. Andy, our dear friend and fiddler violin player arrived on a Wednesday, allowing us a full three days to rehearse together before the show. Somehow, it was an unexpected luxury. We were able to build in a small transition section to bring the Hitchcock theme back, an idea we were tossing around during the performances in March. We were also able to clarify a bit more the cause and effect section of creaks, plings, and shlings and dig a bit deeper, and maybe more structured in this theme of “who causes who to do what and how”. We arrived at the TIL theater in Giessen, promptly and 10am to begin preparing the space for performance. 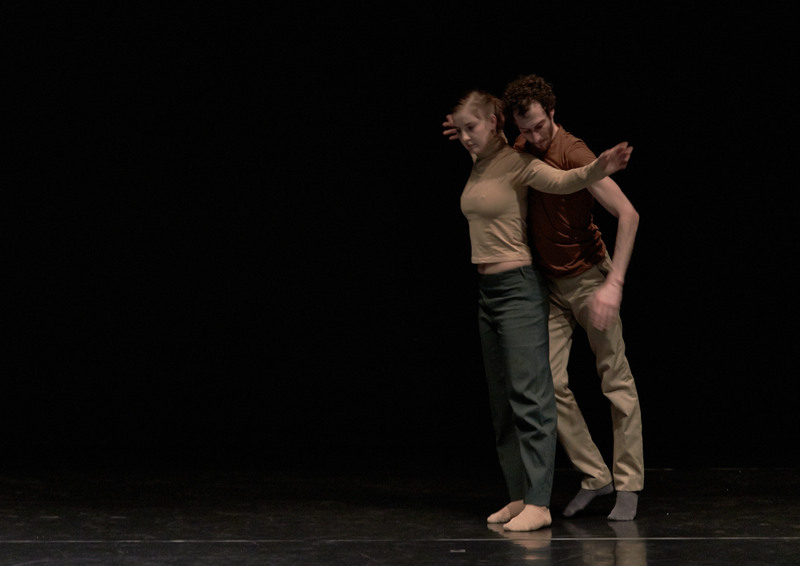 Ekaterine and I had both performed our own choreographic work in the same space before, however always in the context of a festival with several other companies and pieces on stage in the same evening. This was our first time here to have the space to ourselves and a whole day to prepare. With Camilla in charge of the lights, and ordering the technicians around in her humble manner, we were left free to nod “yes” occasionally, buy fruit at the farmer’s market, take a nap in the dressing room, and enjoy a strangely rare smoothness not customary to the typically stressful load-in dynamic. We had entered some form of flow. Our rehearsals were productive, adjusting to the new space, teaching Santiago the technician our floor patterns so he could follow us with the impromptu follow-spot that was rigged up. And then it was time for the show. There were somewhere between 50 – 60 people in the audience, which was not a sold-out show, but still the room felt full and the audience seemed engaged. The show was an Event in a truly Badiouian sense. We couldn’t name what was different about the experience specifically, but it had to do with a presence or an acceptance that we were exactly where we needed to be for those 50 minutes. Perhaps underpinning it was the knowledge that it may be that last time we perform the piece together in that constellation as Andy will be moving back to Australia and it could be difficult to convince him to fly back to Europe for a performance of this dance piece. But the show was enjoyable, and the beer Andy handed me afterwards was ice cold and delicious. What? We had no idea prizes were in any way involved in this festival. Surprisingly, a jury was watching the various performances and selecting specific works to receive money prizes. We were awarded the “Best Ensemble Performance” Award along with a few thousand Euro! A happy ending, to a happy tour. Stories like this are far and few between when working in the arts, but when it happens, it feels a bit like a strong pat on the back or a loud whisper that promises nothing, but still somehow lets you know to just trust the wind that pushes you forward. My masters program, the Masters in Contemporary Dance Padagogy (MAztp) is heading to Finland this coming weekend. We will be essentially taking over a small dance academy in the town of Outokumpu for the week. It will be an exchange of goods and services, of inspiration, of hospitality, of knowledge and moves. I will also be offering a separate workshop in the town of Joensuu from Friday – Sunday May 17 – 19. 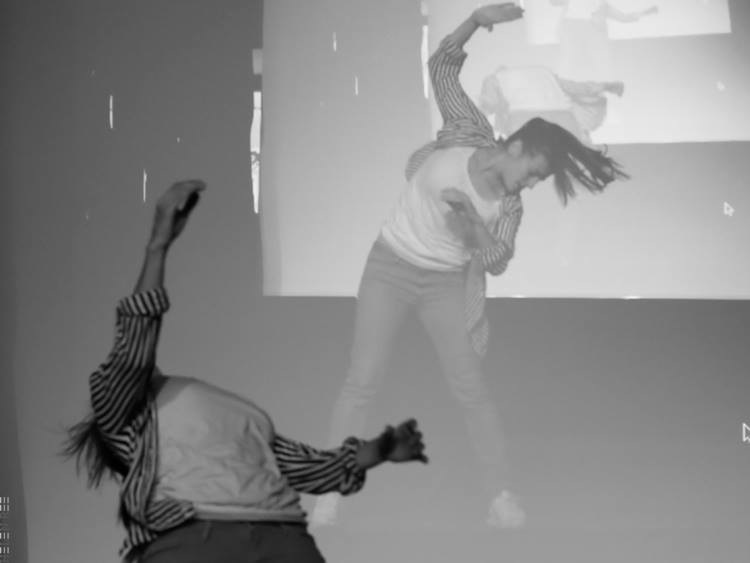 This workshop is a response to my experience working with choreographer Hofesh Shechter, and is inspired by the time that I’ve invested working with Anna Teresa De Keersmaeker’s publication, A Choreographer’s Score as a source from which to develop physical training. We will explore communicating through movement, investigating methods for manipulating movement quality by using scoring techniques, imagery, and physical systems for sending and receiving movement impulses. We will explore, construct and play with movement in order to build structures that support our ability to generate creative energy. 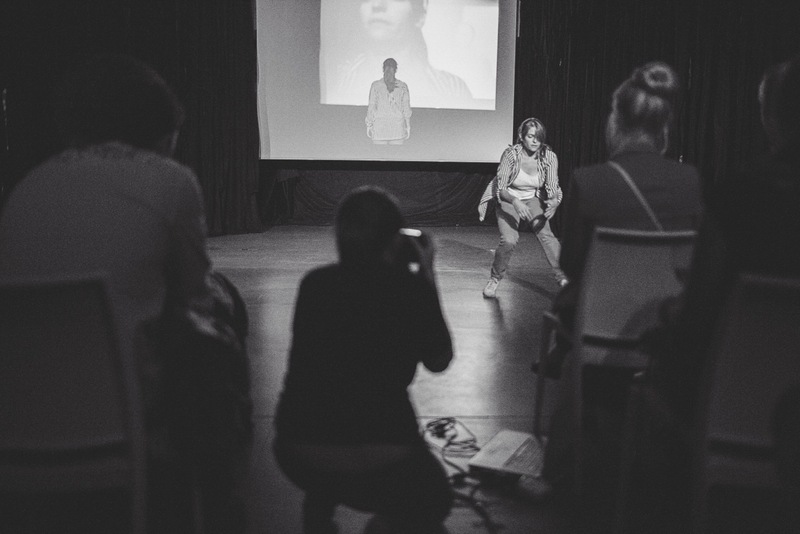 This workshop focuses on the use of the imagination to connect individual engagement to a collective experience, while stimulating new movement decisions and questioning assumptions about choreographic structure. 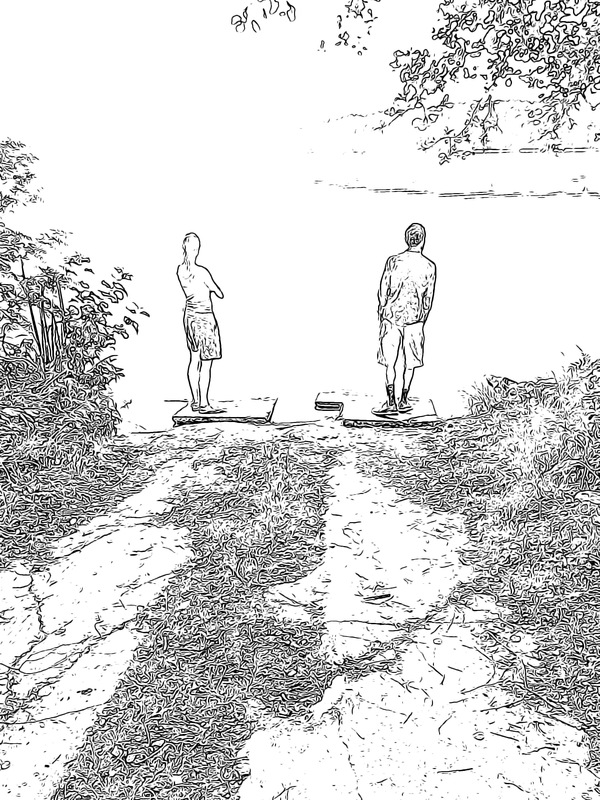 If you’re in Finland and can come to Joensuu, come join us for an exploration of movement. 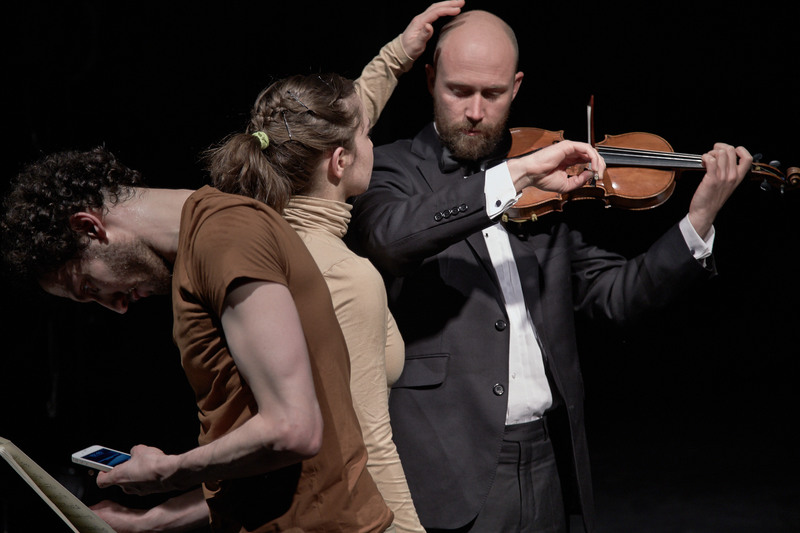 3:1 is a contemporary dance theater piece which premiered in Frankfurt, Germany at Gallus Theater March 27, 2013.. Upon receiving a call from the Gallus theater who had heard of me and my partner’s fledgling dance company, Muddy Boots via a friend who had previously worked at the theaterDuring the performance, the relationship between movement and music, dancer and musician, and audience and performer is explored through negotiating cause and effect. Painted signs are used to communicate while questioning modes of communication. 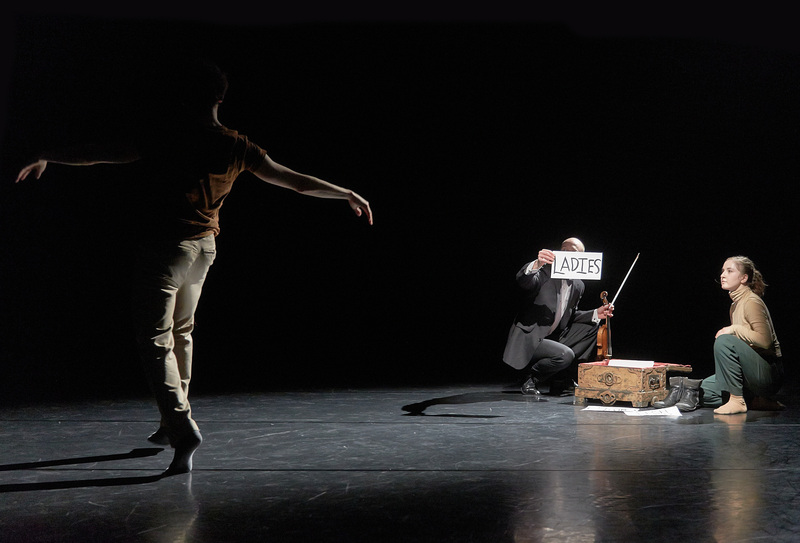 The movement material is delivered by chance operations, improvisation, and systems developed by the performers to signal each other in real time. 3:1 was premiered in Frankfurt, Germany at Gallus Theater March 27, 2013. 3:1 TRAILER from Jason Jacobs on Vimeo. what is the truth of the human body?